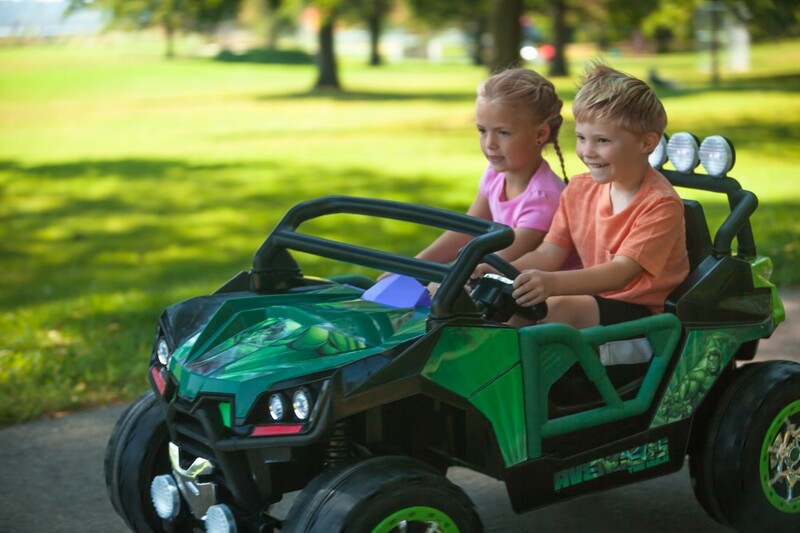 Smash through boredom on this 12-volt Marvel's Hulk UTV Ride-On from Kid Trax! 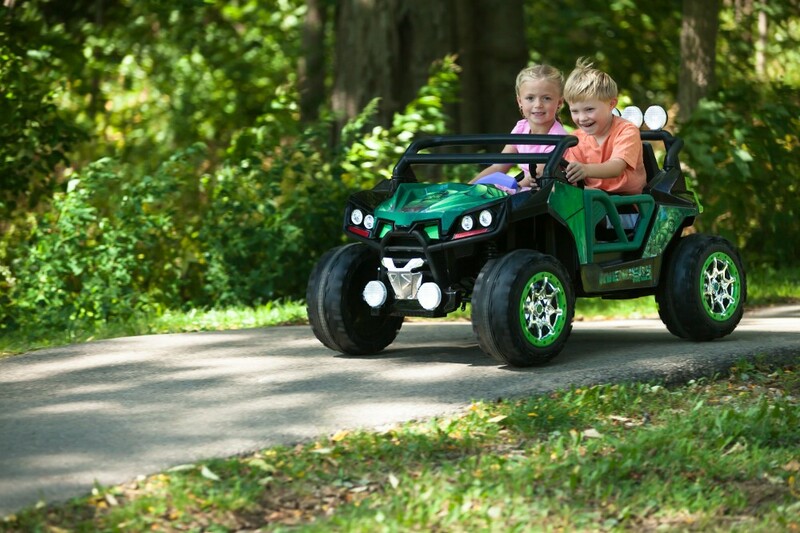 This sweet 'off-road' ride is decked out with features that are sure to bring hours of driveway fun. 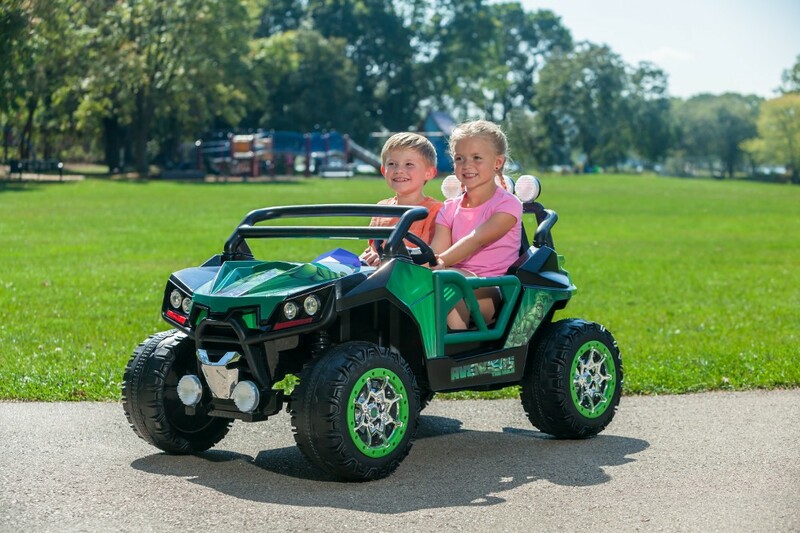 Working LED headlights and rear roll bar lights brighten up playtime, while the realistic horn and engine noises are sure to delight little drivers. There is even a working FM radio and MP3 auxiliary input for sweet road trip jams. Real foot pedal acceleration and forward and reverse driving options help create a lifelike driving experience, while Power Trax rubber traction strip tires smooth out the ride. Little Hulk fans have the ability to go 2.5 MPH for leisurely drives or ramp it up to 5 MPH to stop evildoers in their tracks. Thanks to the rear storage compartment, there's plenty of space to bring toys and battle gear along for the ride. Don't get angry when it's time to refuel! Charging is easy and convenient thanks to the included 12-volt rechargeable battery and wall charger. 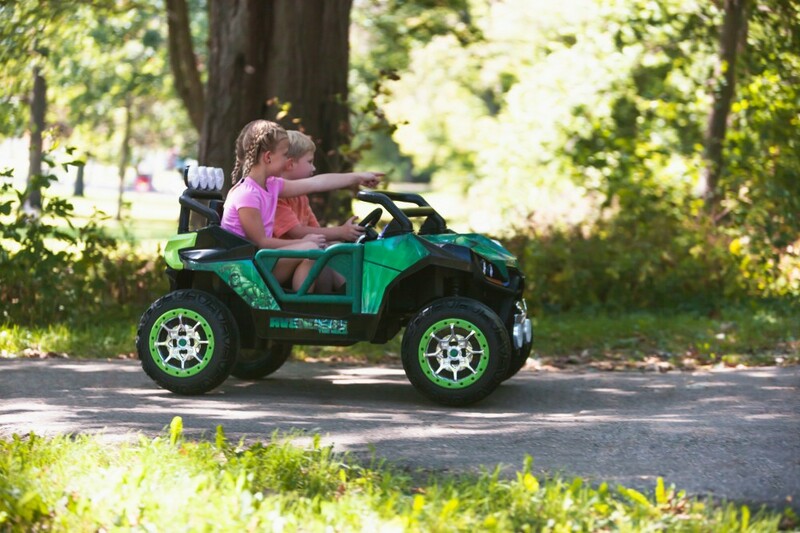 This battery-powered set of wheels sits two riders between the ages of 3 and 7 years with a maximum total rider weight of 130 lbs. 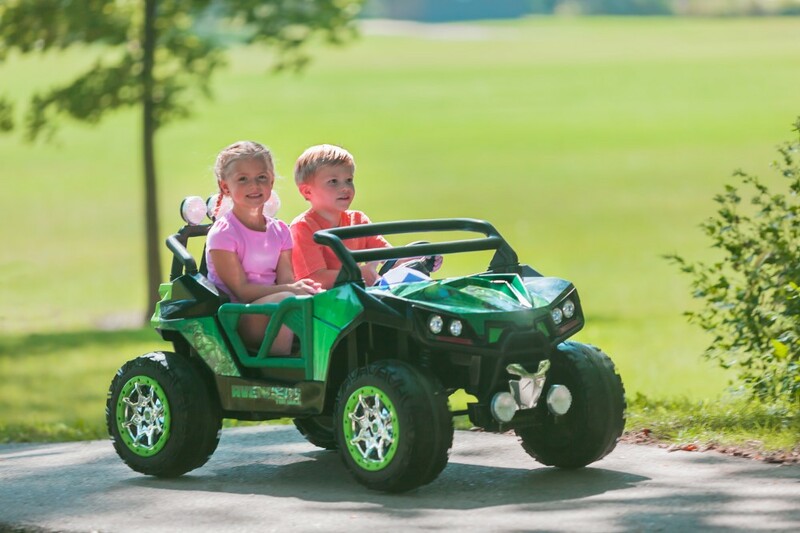 Become one of the Avengers on the 12-Volt Marvel's Hulk UTV from Kid Trax! Sits two riders between the ages of 3 and 7 maximum total weight of 120 lbs. Maximum total rider weight of 130 lbs. 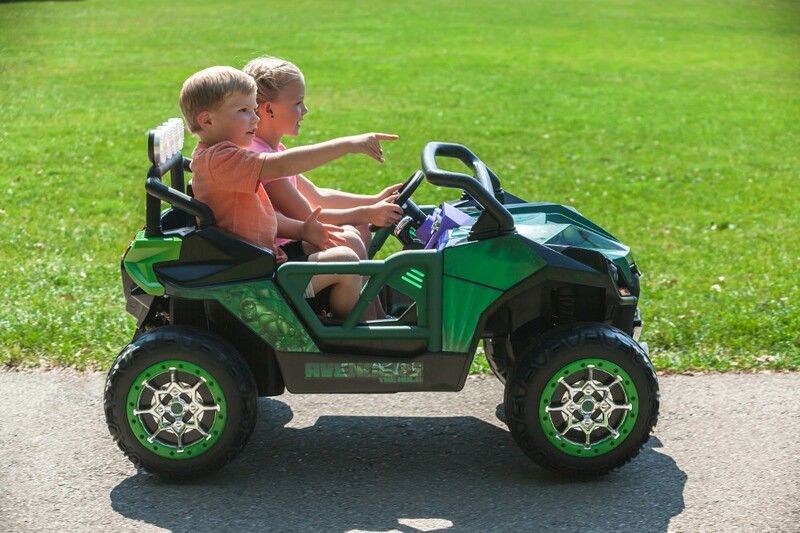 Comes with a 12-volt rechargeable battery and wall charger so the fun never has to stop!